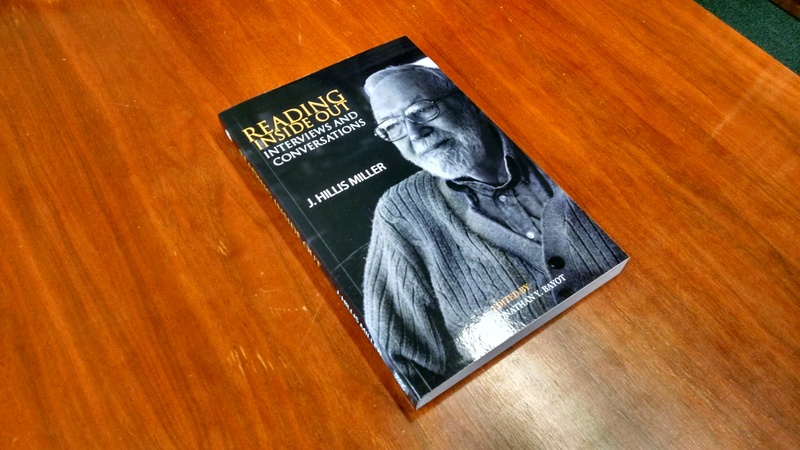 Shortly following the completion of my dissertation, in the summer of 2013 I had the great honor and privilege to interview one of the preeminent literary critics of the twentieth and twenty-first centuries, J. Hillis Miller. 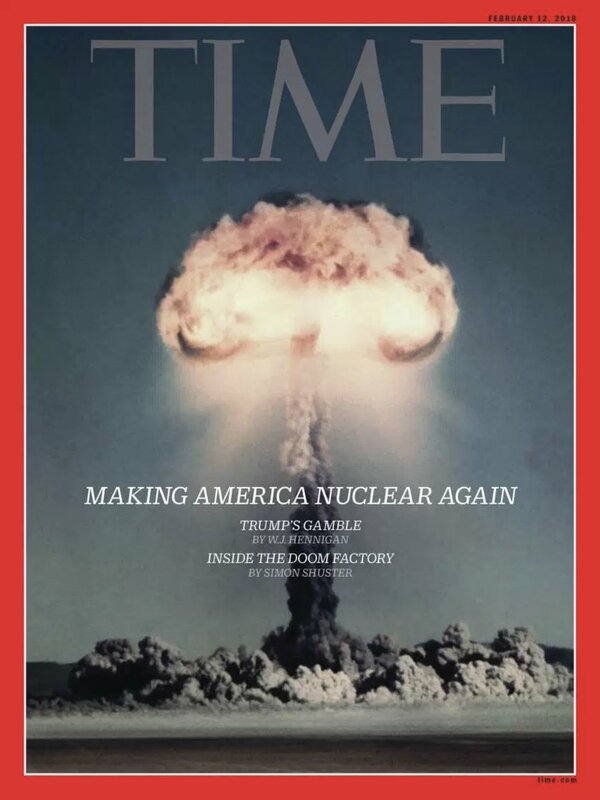 That interview was published as “Isn’t It a Beautiful Day? An Interview with J. Hillis Miller” in the fall 2014 issue of boundary 2. The interview has been reprinted in Reading Inside Out: Interviews and Conversations, a collection of interviews with Miller spanning the latter part of his career, edited by David Jonathan Y. Bayot and recently published by Sussex Academic Press. (The book is also available at a fairly reasonable price on Amazon.com.) In the table of contents below, I’ve provided links to where the other interviews in the volume were originally published (to the best of my ability). Imre Salusinszky, “Criticism in Society” (1987). Gary A. Olson, “Rhetoric, Cultural Studies, and the Future of Critical Theory” (1994). Fengzhen Wang and Shaobo Xie, “Stay! Speak, Speak. I Charge Thee, Speak” (2002). Julian Wolfreys, “The Degree Zero of Criticism” (2004) and “Why Literature? A Profession” (2005). Anfeng Sheng, “Literary Studies in Contexts” (2006). Constanza del Río Álvaro and Francisco Collado-Rodríguez, “On Literature and Ethics” (2006). Éamonn Dunne, “For the Reader to Come” (2010). Éamonn Dunne, Michael O’Rourke, Martin McQuillan, Graham Allen, Dragan Kujundžić, and Nicholas Royle, “You See You Ask an Innocent Question and You’ve Got a Long Answer” (2014). Bradley J. Fest, “Isn’t It a Beautiful Day?” (2014). Christopher D. Morris, “A Critical Story So Far” (2015). I will be a featured writer at the monthly Writer’s Salon held by the Community Arts Network of Oneonta (CANO) on Thursday, May 17, 2018 from 7:30 – 9:00 pm. CANO is in the Wilber Mansion at 11 Ford Ave. in Oneonta, NY. There will be an open mic, followed by a roughly forty-five minute reading of my work and a Q & A.
I will be reading selections from my first two books, The Rocking Chair (Blue Sketch, 2015) and The Shape of Things (Salò, 2017), along with poems from my sequence, 2013-2016: Sonnets, and new poems from an untitled project. As part of Hartwick’s Faculty Lecture Series, I will be giving a talk on May 2, 2018 at 12:20 pm in the Eaton Lounge of Bresee Hall at Hartwick College in Oneonta, New York. The title of my lecture is “Too Big to Read: The Megatext in the Twenty-First Century,” and I will be presenting preliminary chapter from my work in progress of the same name. In this new project, I am investigating the impact of massive textual accumulation on contemporary literary production and reception. With the increasing space made available by digital technology, texts are being created that are simply gigantic, unthinkably large compared to the previous century’s storage capacities. For instance, conceptual artist Michael Mandiberg recently printed out the entirety of Wikipedia in over seven thousand bound volumes, at some point in the near future Richard Grossman will publish a three-million-page “novel,” Breeze Avenue, and 2016 saw the appearance of No Man’s Sky, a videogame containing eighteen quintillion planets. I argue that with the appearance of such massively unreadable cultural artifacts—texts that are, quite literally, too big to read—the digital age has seen the emergence of a new transmedia form: what I call the megatext. I define megatexts as unreadably large yet concrete aesthetic and rhetorical objects that are produced and conceived as singular works and that depend upon digital technology and collaborative authorship for their production. Using the working paper for Grossman’s forthcoming Breeze Avenue as a case study, this lecture will present a theory of speculative criticism for approaching these massive texts. Drawing upon Timothy Morton’s concept of the hyperobject and suggesting that megatexts have roots in literary postmodernism, this talk will explore some of the ways that megatexts respond to the conditions of the Anthropocene and open up new spaces for imaginative reading, creation, and understanding in contemporaneity. For a (longer) published version of this lecture, see “Toward a Theory of the Megatext: Speculative Criticism and Richard Grossman’s ‘Breeze Avenue Working Paper,” in Scale in Literature and Culture, ed. Michael Tavel Clarke and David Wittenberg (New York: Palgrave Macmillan, 2017), 253-80. For other parts of this work in progress, see “The Megatext and Neoliberalism” and “The Time of Megatexts: Dark Accumulation and Mark Z. Danielewski’s The Familiar,” both available on my academia.edu page. I also have a forthcoming short essay discussing this project: “Writing Briefly about Really Big Things,” in Begging the Question: Chauceriana, Book History, and Humanistic Inquiry (Mythodologies II), by Joseph A. Dane (Los Angeles: Marymount Institute Press, forthcoming 2018). I will be leading a keyword seminar on length at the 2018 Society for Novel Studies Conference, May 31-June 2 at Cornell University. I have included a description of the seminar and the names of the other presenters below. Other keyword seminars can be found here. From multi-season serial television, to cinematic universes, to immense videogames, narratives across media appear to have gotten longer in the digital age. Can the same be said of the novel? On the one hand, authors have written lengthy novels throughout the form’s history. On the other, the issue of novelistic length seems newly pressing now that digital technologies have given writers the capacity to author books that are unreadably massive (e.g., Richard Grossman’s forthcoming three-million-page Breeze Avenue or Mark Leach’s seventeen-million-word Marienbad My Love). This seminar invites its participants to take up questions about length with regard to the role and status of the novel historically and at present. How does the history of print narrative influence how we think about novel length in the twenty-first century? Are there upper and lower limits to how long a novel can be (and why would such limits matter)? What is the relationship between the novel and other transmedia meganarratives? What is the legacy of the twentieth century’s “big, ambitious novel”? And, going forward, how do scholars study print and digital texts that are too big to read?